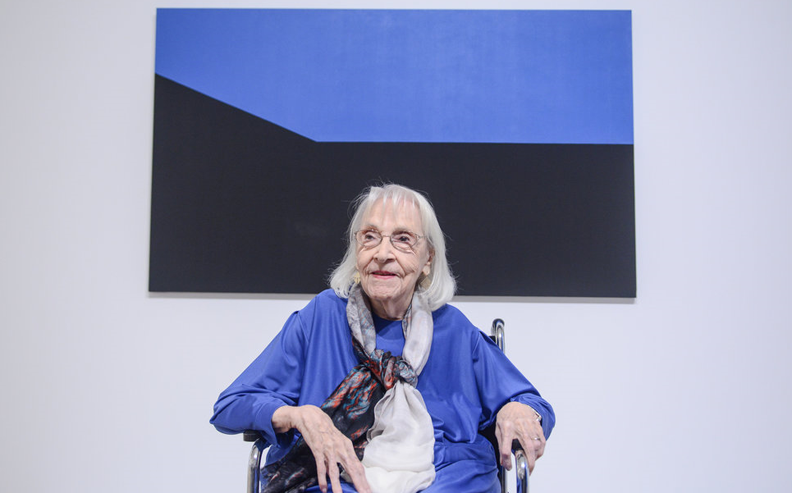 Herrera famously sold her first painting at age 89. 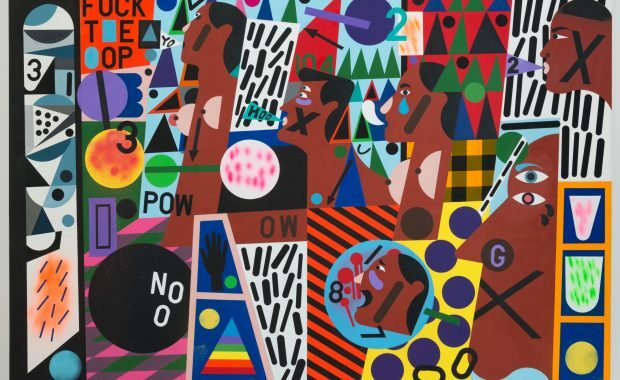 The Huffington Post discusses her solo show Lines of Sight at the Whitney Museum of American Art, on view through January 9, 2017. The Women’s March on Washington, in collaboration with the Amplifier Foundation, asks for art submissions to be used on posters and banners during the march. The deadline is 2 p.m. on Sunday, January 8, 2017. Barbara Jatta is the first woman to direct the Vatican Museums. The Guardian features vivid, abstract paintings by Sandra Blow. Leila Abdelrazaq draws comics representing the experiences of Palestinian refugees and immigrants. Wiebke Maurer sculpts place settings in gold and silver filigree. Artsy highlights eight women who turned food into feminist art. Bustle reviews the film Hidden Figures, based on Margot Shetterly’s book about the black women mathematicians who helped make space flight possible. The New York Times interviews Ruth Negga about her leading role in the film Loving. 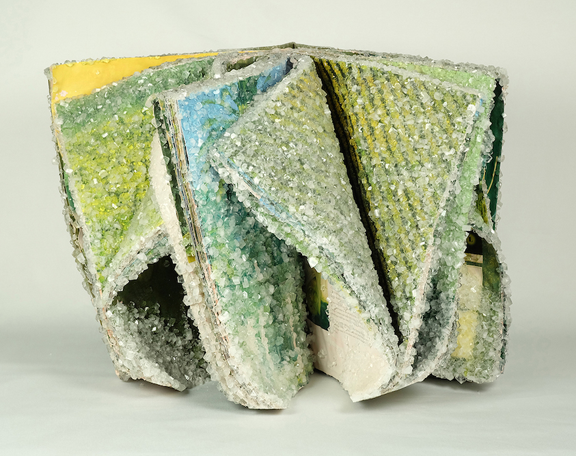 Alexis Arnold poses discarded books and covers them in borax crystals. New York’s Second Avenue Subway features expansive public art installations by Sarah Sze and Jean Shin. NPR remembers Debbie Reynolds and Carrie Fisher. Beyoncé will be the first black woman to headline the music festival Coachella. Actress Marlene Dietrich accumulated a massive collection of books and left handwritten notes in many of them. NPR records Angel Olsen performing her song “Give It Up” in a church in the Bronx. “Horror creeps into the most ordinary lines” in the novel Fever Dream by Argentinian author Samanta Schweblin. The Creators Project interviews the co-directors of the crowd-sourced NASTY WOMEN Exhibition. The Huffington Post shares a small selection of the featured works submitted by 694 artists. 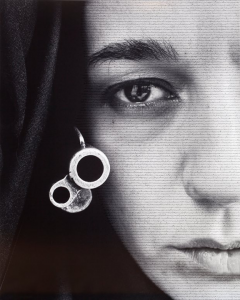 This entry was posted in Art Fix Friday and tagged Angel Olson, Carmen Herrera, Lin Emery, Nina Chanel Abney: Royal Flush, Roxanne Gay, Shirin Neshat, women artists in the news, women in the news by Women in the arts. Bookmark the permalink.